Intense days it have been, totally taken up by the news around the killing of 35 civilians by the Turkish air forces. Chilling details, like: 28 of the 35 deceased had the same last name, and 17 of 35 were under the age of 18. The group of smugglers always took the same route, one of the survivors told an investigation team of two NGO’s who were on the spot quickly. The gendarme and police knew it, and tolerated it. Smuggling has been a way of income in the region for generations long. Even more so since the war between the state and the PKK broke out in the eighties, and agriculture and cattle breeding was no longer possible because big parts of the region were declared a security zone. What keeps stuck in my mind these days, are the predictable reactions from all sides. The media, for example. I was surprised to hear TV stations in Turkey are directly instructed by Ankara about how to cover the news (read my story about that here), but for the rest, I have not been surprised. After the AKP came with a statement, the news could be covered by TV, but still, they have to be very careful who to get in front of the microphone and which footage to broadcast and which not. The papers don’t need too much instruction, I’m afraid. The civilians were bombed Wednesday late at night, on Thursday early morning the news was spreading, so the first papers to report about it were published on Friday. Time enough to cover the story from different angles, you would think. But no, unfortunately the majority of papers didn’t make an effort to go beyond the official statements. No paper for example mentioned the pre-report that was published on Thursday by two NGO’s, in which it became clear that the police and gendarme knew about the smuggling, that the smuggling routes were known by everybody. This at least raises questions about the intelligence that was used before the attack, but in none of the articles, this was mentioned. Some quoted one of the survivors from the same report, but the factual findings of the NGO’s were not published. Some papers didn’t even choose the 35 civilians deaths to be the main story. One of Turkey’s biggest papers, Hürriyet, decided not to change their plans for the front story: a happy coverage of a container village in earthquake city Ercis, sponsored by Hürriyet. Self promotion on a day where tragedy should have been reported as the main news. Milliyet, also big, chose as main news the veto that President Gül used against a parliament decision to raise the pensions for mp’s. A corner of the front page was saved for the killings in Uludere. In general, the reporting of Turkish media didn’t make Turkish people loose one night of sleep over this. If you don’t search yourself for news from different angles, you could go to sleep without your truths being shaken. Yes, 35 civilians were killed by the Turkish air force, but, there are all these buts. But: they were smugglers, what were they doing there anyway right by the Iraqi border, and but: there are PKK camps in the border region so ‘collateral damage’ is inevitable. And when the footage and pictures of the funeral of the deceased were released, for many Turks all pieces of the puzzle fell into place: there were flags in red-yellow-green on the coffins – Kurdish colours, but by most Turks considered PKK-colours. Also, a portrait of Öcalan could be seen. See, many people immeditaly think, they are all terrorists! No paper takes the trouble to go and really talk to the villagers. Why do you cover your coffins with these flags? What do these colours mean to you? Why do you show Öcalan portraits? Tell us, about your daily life. Tell us, how the still unsolved Kurdish question and the still ongoing war between the army and the PKK affects your lives. On pro-PKK side, the reactions were just as predictable. In short: the state planned to kill these civilians and it’s part of the ethnic cleansing of the Kurdish people. Some prefer the word ‘genocide’. ‘Erdogan mass murderer’, slogans like that. The automatic reactions on both sides, remind me of a pothole in the street. There is water in the pothole, and the weight of water and sand slowly slowly makes the pothole bigger and deeper. The bigger and deeper the pothole gets, the more water will flow into it, just for gravity reasons. People have a pothole in their mind, with their basic convictions in it. When a new idea comes to their mind, the chance that it flows into the pothole is big, just like water flows in the easiest direction. The more ideas flow into the pothole in the mind, the bigger the pothole becomes, and the more difficult it becomes to think outside the pothole. It’s a circle. A circle that can be broken, but you have to make an effort for it, and sometimes you need outside help. Somebody has to force you somehow to think outside the pothole. Now I’m afraid no investigation into the killings that is carried out by any party in Turkey will be able to reach this. If the army and/or the state research the killings, many Kurds will not trust the outcome, even if the investigation is done properly. When IHD and Mazlum-Der, the two NGO’s that made the pre-report, do the investigation, many Turks will not buy it, because especially IHD is seen by many as PKK-supporters. Everybody will let the results easily glide into their own potholes. No truths are questioned, and that’s it. Which will not satisfy anybody, and for sure not bring a solution to the conflict any closer. That is why an investigation by an independent body is important. IHD and Mazlum-Der propose the Human Rights Commission of the UN should come to investigate. As soon as possible, before any evidence can be destroyed. I hope the state gives permission for that. It is the only party that could force people to think outside their pothole. Such an investigation wouldn’t allow people to just disregard the outcomes if they don’t suit their truths. It will also show a new borderline into two different groups: those who are able and willing to think beyond their own truths and force themselves to prevent new ideas to flow into the pothole in their minds, and those who don’t. In other words: those who are willing to really work towards peace, and those who don’t. No big Turkish station broadcasts the news on Thursday morning. Finally at the end of the morning, they gave it some attention: the official statement of the army was released. After that, the news is shown as the government wants it. The silence has everything to do with an order from Prime Minister Erdogan, who recently met with all media bosses and instructed them not to oppose the government in the fight against the PKK. A journalist at a big Turkish TV station, speaking on condition of anonymity, says that when there is news somehow related to the fight against the PKK, they get a phone call from Ankara, either from the Prime Minister’s office or from another ministry. The government warns the editor in chief ‘not to show footage of the air strike and not to specify a number of deaths. We are also not allowed to use the red banner for ‘breaking news’, or put the news in the news line that is continuously running on the lower screen. We also can’t mention it on the website.’ Because in Turkey the big international stations like BBC World or Al Jazeera are not watched very much, a lot of Turks remain uninformed. The federation calls on TV stations to protest together against censorship: ‘Journalists should fight for their independence’. At the same time, he realizes that the working journalists don’t have much influence: the bosses of TV stations are businessmen, not journalists, and they prefer good relations with the government. This week a few important court cases were continuing in Turkey. In Istanbul there was a hearing in the case against the murderers of Hrant Dink (read some more here and here) and also the Balyoz case continued (read more here), in Diyarbakir the KCK trials continued (more info in the same article). In another Istanbul court room, the case against jailed journalists Ahmet Sik and Nedim Sener was starting. All important cases, in which the reliablility of the judicial system in Turkey is at stake. Unfortunately, I, and some others, got a bit distracted from the importance of these cases. Let me explain. Journalism in Turkey is not always on the level you wish it would be. There is a lot of framing going on, nationalism is widespread, there is not much nuance in the news. So I am grateful to be following a lot of people on twitter that counterbalance the reporting on TV and in the papers. They tweet, like I very often do myself, from demonstrations or other events, they tweet articles that I wouldn’t easily find myself, they point out who to follow for certain events, etcetera. Some of them even tweet from court houses, which was of course ultra interesting this week. Especially the case against Ahmet Sik and Nedim Sener got a lot of attention on twitter – of course, since many tweeting colleagues and friends of both journalists care about the case. I was so glad to find that one of these tweeps was in court tweeting in English: journalist and columnist Ece Temelkuran (follow her at @ETemelkuran). I followed her, thanked her at the end of her day for her great tweets, and that was it. Imagine how flabbergasted I was when one day later I found out Ece was not in court at all, but hundreds of kilometers away, in Tunesia’s capital Tunis. This doesn’t mean she is a fraud or something, totally not, but it does mean that not all on twitter is what it seems like. Well, of course it isn’t, I’m not that naive of course, but even with people who tweet using their own name and are famous and successful in journalism, you can’t really be sure. At first, I reacted somewhat over the top to her – my excuse is that I really felt deceived. Ece reacted quickly, explaining that some tweeps formed a group a few days before, and she was the one who would translate Turkish tweets to English. Now that’s twit-power, and I mean it! But: how could I know? The nature of twitter is that it’s fast and gone before you know it. Ece got many new followers that day, like me, who had no idea about the action plan of her and a few other tweeps. Maybe, I stated, it would have been wiser to now and then tweet that she was not actually *in* the courthouse, but translating tweets from others. That would have been a kind of reporting that would suit the nature of twitter. I think as a journalist you should be very aware of the nature of the medium you use, to use it to the max. Ece didn’t react to me anymore. And unfortunately, my tweets were picked up by others, and seem to have resulted in some campaign against Ece. That’s also twitter, or should I say: that’s also Turkey. Black and white, no nuance. I reject that deeply. I think it’s great Ece took the time and the effort to translate the over-interesting tweets of mainly @oemoral and @petite1ze for a big audience that doesn’t know (good enough) Turkish to read and fully understand all Turkish tweets. It is not only great, it is even important, because it contributed to a better understanding of what is going on in Turkey’s justice system. Twitter is even so important, that it got on the judges nerves and after some time tweeting from the court room was forbidden. (Ece kept tweeting, so I thought she was being brave to go against the judges order… Turns out the tweets she translated after the judges ban were written by tweeps in the court building but after some point not anymore in the court room). Why I write such a long blog post about this? Isn’t the case of the jailed journalists more important than some twitter rant about it? It is, and that’s exactly the point I would like to make. I’d like to address that message to those who attack Ece now for reasons unclear to me. But I address it also to my colleagues twittering about important news issues. Be as open and clear as you can be. Always realize twitter is cursory, followers come and go all the time, not everybody always knows your whereabouts, not even when you’re famous. Twitter is becoming more and more important in spreading news from first hand, and let’s use that great freedom twitter offers to get news out as trustworthy as possible – that’s in the end what journalism is about, right? It will only strengthen the message you want to get through, being: Freedom for journalists! ISTANBUL – Early Tuesday morning in several Turkish cities a total of at least eighteen journalists were detained. The raids are part of an investigation of people who are active in Kurdish political and public organisations, which has been going on for years. One of the detained journalists is Mustafa Özer, photographer for the international press agency AFP. A total of 38 people were taken into custody, as part of the so called ‘KCK probe’. The KCK is a network of Kurdish groups in Turkey, Syria, Iraq and Iran, of which the violent Kurdish movement PKK is also a part. The PKK is considered a terrorist organisation by Turkey, the EU and the United States. Since 2009 thousands of people have been detained for allegedly having ties with the KCK and, via the KCK, with the PKK. Among the people arrested are (mostly Kurdish) mayors, academics, journalists and human rights activists. The journalists were detained early in the morning in, among other cities, Istanbul, Izmir, Diyarbakir, Adana, Van and Ankara. In house searches computers, books and memory cards of digital cameras were taken. In the event the journalists are arrested based on that, there is a big chance they will end up in jail for a long time without conviction or indictment. Judicial processes are very slow in Turkey. With today’s arrests the total of journalists in jail in Turkey has reached more than eighty, based on a list compiled by the European Journalism Federation. Concerns about press freedom in Turkey are increasing: on the most recent press freedom list of Reporters Without Borders, Turkey dropped to 138th place, between Singapore and Ethiopia. The Turkish government rejects worries about worsening press freedom. Prime Minister Erdogan and Minister for EU Affairs Bagis claim that journalists are not jailed because of their work, but because of connections with terrorism. This concerns not only the KCKprobe, but also journalists who allegedly have ties with Ergenekon, a shady group that supposedly wanted to topple the AKP government. Is President Gül going to step down next year, at the end of August, and will he be succeeded by a President chosen directly by the people? Keep dreaming, I would say to opposition leaders Kilicdaroglu and Bahceli, who ‘demand’ this scenario. The opposition has nothing to demand here, as they are too small in parliament and have no power. The AKP has. Correction: Prime Minister Erdogan has. He has ambitions to become President, but not yet next year. 2014, that would be perfect, a year before the next general elections. So that’s how it’s most likely going to happen. What is the debate about exactly? About the term that President Gül is supposed to be in office. He was elected by parliament in 2007, for a seven year term without the possibility of being re-elected. But after that, in the same year, a constitutional change was approved, stating that the Presidents term will go down to five years, that this term can be renewed with five years once, and that the President will no longer be elected by parliament but directly by the people. The opposition states the changes apply to President Gül too. Ruling AKP, of which President Gül was one of the founding members in 2001, says Gül was elected for a seven year term and that’s how long he will stay in his position. I just can’t figure out why MHP and CHP make such a big issue of it. Okay, they take every chance they get to cause a discussion, but besides that? It is said it has to do with the ambitions of Prime Minister Erdogan to become President. If presidential elections are held next year, it would be too soon for Erdogan to make his mind up, they think. Could be, but then Erdogan will just wait till after the second term of President Gül to run for President himself. I mean, if the opposition insists on the new rules applying to Gül as well, then he could go for a second term next year, right? Scenario A. Imagine Gül steps down next year, and is re-elected for a five year term. Then he’ll be in office till 2017. Then Erdogan could take over, for two five year terms. President Erdogan will rule Turkey from 2017 till 2027. Scenario B. Imagine Gül completes his seven year term, till 2014. That’s one year before the next general elections. According to internal party rules, Erdogan can’t run for a fourth term as Prime Minister. So if he wants to stay powerful – and rumour goes he loves power – then the only thing he can do is become President. One scenario is that Gül could become Prime Minister then. This scenario is also sometimes referred to as the ‘Putin-Medvedev scenario’. Erdogan would become President in 2014, for two five year terms, so that’s till 2024. Scenario C. Imagine Gül finishes his seven year term, and is then re-elected for a five year term. Not very likely, im my humble opinion: if you insist on a seven year term stating that’s the term he was originally voted into office for, then automatically also the rule of a maximum of one term counts. But even if the AKP would somehow change that rule, it’s not very likely that Gül would run for a five year term in 2014. That would be till 2019, leaving Erdogan jobless for four years, yearning for the presidential palace. Besides that, there is a rumour about Gül too: some say he could have a chance to become the next Secretary-General of the United Nations, and the term of Ban Ki-moon ends December 2016. Anyway, this scenario would bring Erdogan to the presidential palace in 2019, till 2029. In all these calculations, Erdogan will be the President of Turkey in 2023. And that’s very important, because in that year the 100th birthday of the Republic of Turkey will be celebrated. To be the President in that year would complete Erdogans political career as the most powerful politician since Atatürk, the founder of the republic. If the opposition doesn’t want this to happen, they better start offering the public a serious alternative for the AKP, in stead of wasting energy with meaningles retorics about the duration of President Güls term in office. I talked to the ambassador at what you could call the unofficial kick-off of the 2012 celebrations. In December 1611 Cornelis Haga left the Netherlands overland to, probably, Venice, from where he would take a boat to Constantinople. The trip took five months – not because he was travelling by bike but because he made stop-overs on the way at other Dutch representations. Once he arrived in what was at the time the richest and most vibrant city in Europe, Cornelis had to wait some months before he got to meet the Sultan to officially establish ties between the Netherlands and the Ottoman Empire. In 2012, that historic event will be celebrated extensively with many economic and cultural activities, and with an official visit from President Gül to the Netherlands. I would like to draw a line from those days to now. The diplomatic ties that started in 1612, have over the centuries developed into a web of economic and cultural ties. Those ties are solid. They are actually so strong and contribute so much to the prosperity of both Turkey and the Netherlands, that nobody in his of her right mind would even consider putting that in danger. So because of the foundations that Cornelis Haga laid in 1612, huge and prosperous Turkey is not in any way a threat to The Netherlands now. Not yet convinced? Then please be open to the message in 2012! Radio talk show, with… me! Yesterday morning I was the guest in a talkshow on Turkish radio. The station is called Açık Radyo (Open Radio), and it’s community based. Community based radio stations are operated, owned, and driven by the communities they serve, and are not-for profit. Here’s more about Açık Radyo and what they believe in. Appeals to me, so logically I said yes when they asked me to be their guest. You can listen to the broadcast with your favourite correspondent here. It’s about the news in Turkey and about the way I work as a journalist. It starts in Turkish, but don’t panic, it will switch to English soon enough. 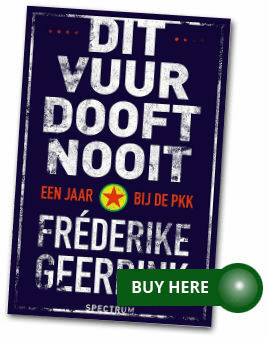 Author fgeerdinkPosted on December 13, 2011 Categories Blogs, MediaLeave a comment on Radio talk show, with… me!